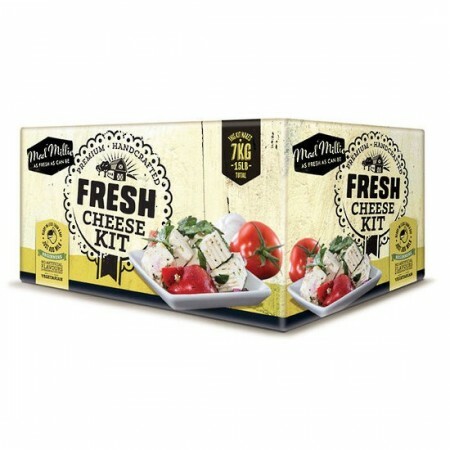 Mad Millie fresh cheese kits have everything you need to get started making delicious fresh cheeses at home - just add milk! Designed to be used in any kitchen - no experience needed! Includes reusable equipment and quality ingredients that are free from artificial flavours and preservatives. Buying this product = 64 Reward points for Members. Your cart will total 64 points = voucher of $3.20. Not a Member? Join at checkout to claim these points. The Fresh Cheese Kit is the ultimate kit includes everything you need to get started making delicious fresh cheeses at home - just add milk! 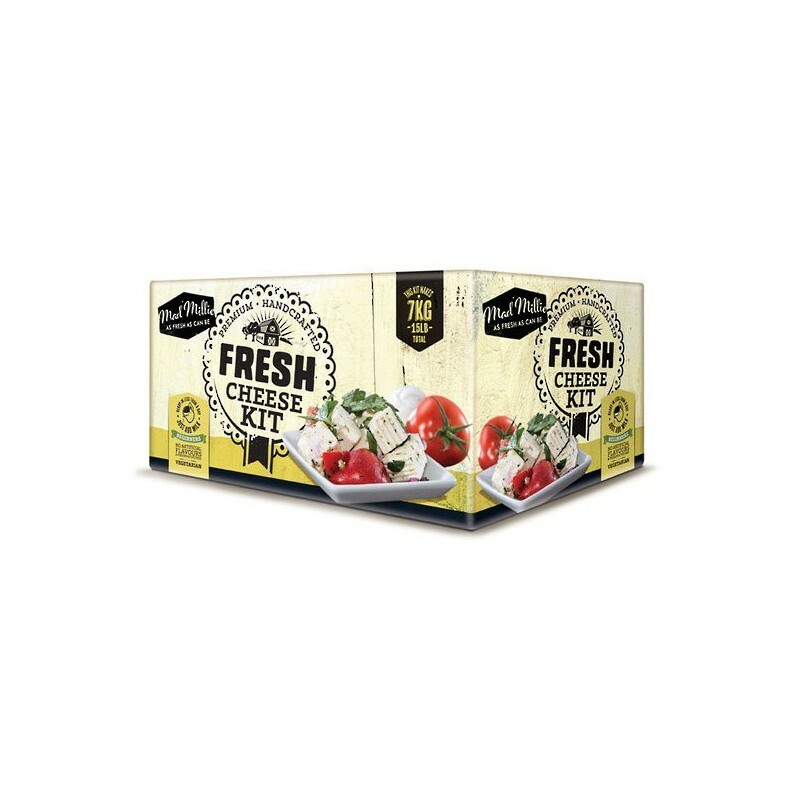 It contains genuine cheesemaking culture so your can be sure your cheese will be authentic and full of flavour. 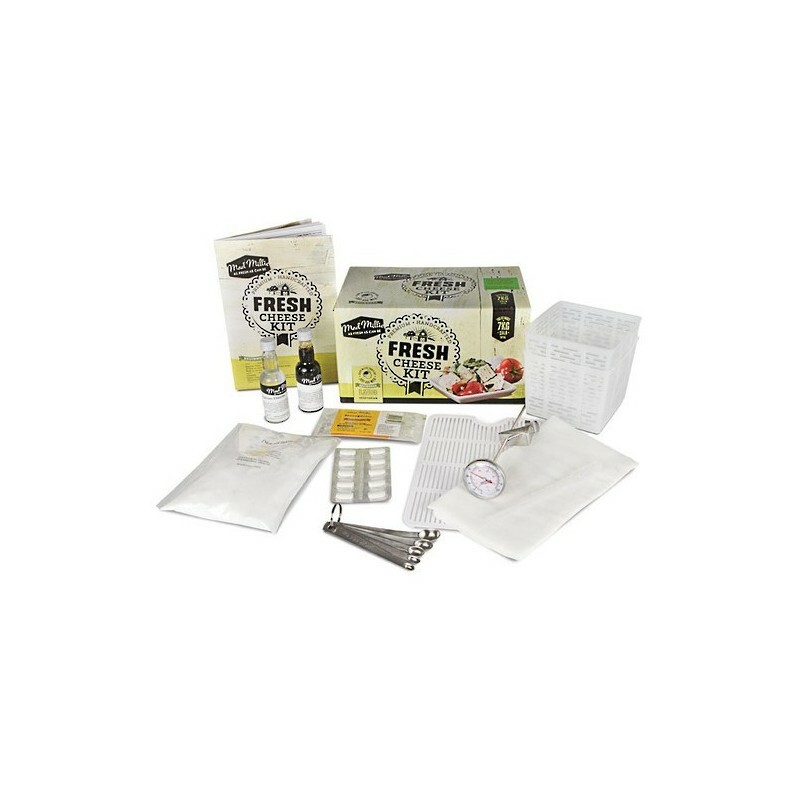 With this kit you can make: feta, halloumi, cream cheese, cottage cheese and quark. Each kit includes top quality ingredients and reusable equipment - everything you need to make up 7kg of fresh cheese. All you need to supply is fresh milk and some basic kitchen supplies!